Just in time for the holiday shopping season, the Dodge brand is celebrating its centennial with an all-new line of merchandise designed to honor the brand’s 100 years of innovation, performance and heritage. The merchandise is on sale now at www.Life.Dodge.com. Dodge is introducing more than 30 new items to celebrate its 100-year anniversary, just in time for brand fans looking for a bit of Dodge merchandise during the holidays. 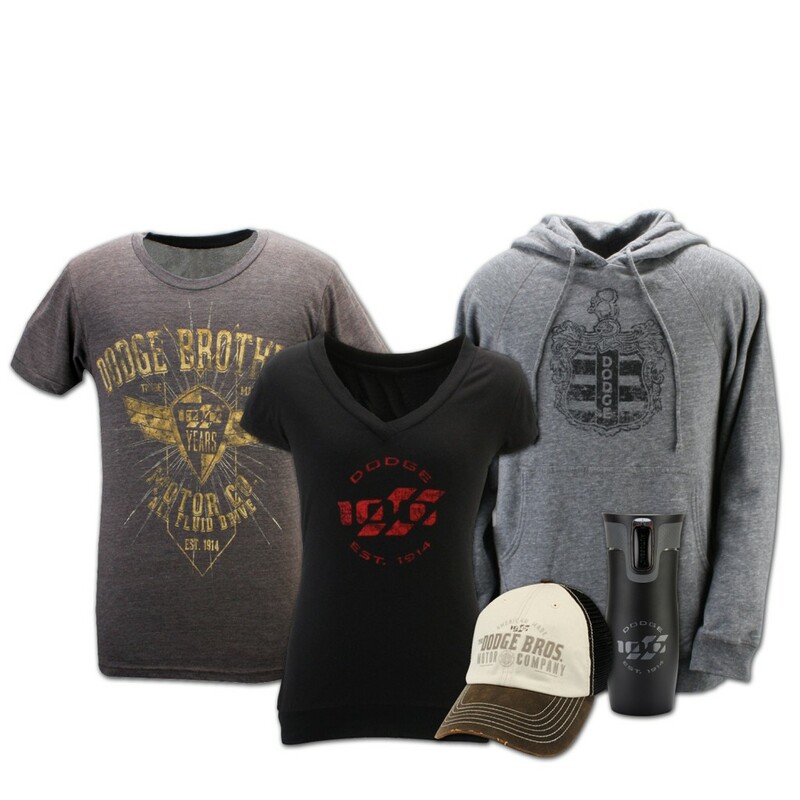 The new items include men and women’s apparel, a commemorative leather jacket and watch, hats, tumblers, mugs, journals, key fobs, decals, and pens. There’s even a new book that recounts the first 100 years of the Dodge Brand, available for pre-order on Amazon, and even more items will become available throughout the following months. But it wouldn’t be a proper centennial without some special-edition cars. To celebrate its achievements, Dodge has also designed the 100th Anniversary Special Edition Charger and Challenger vehicles. New features such as custom and vintage Dodge graphics, retro designs, and new 100th anniversary logos will be available to customers wishing to customize their car. For more information about all things Dodge, just come on over to Rothrock Chrysler.